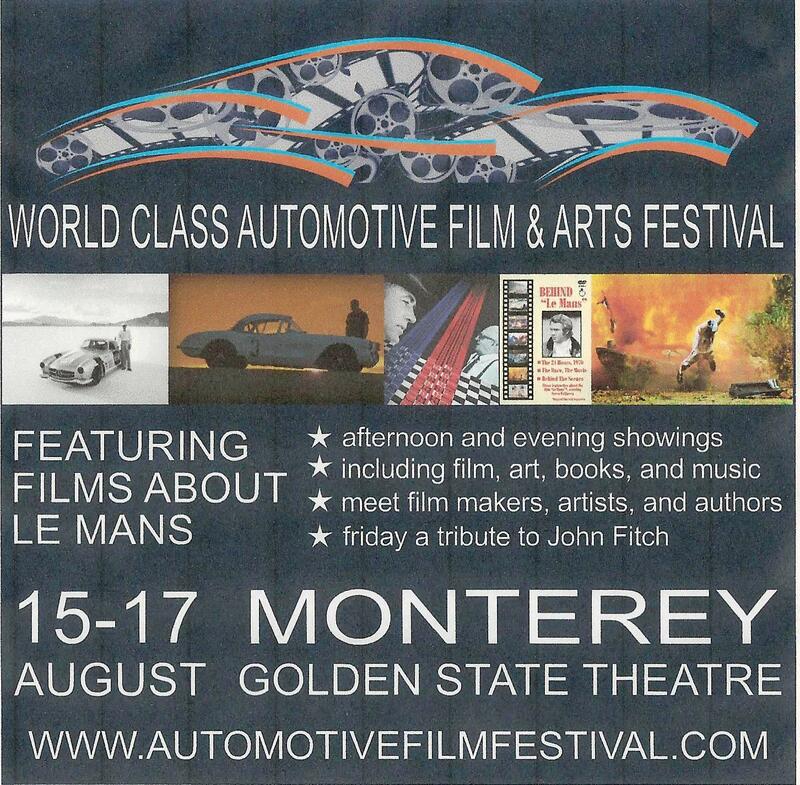 The I invite you to consider checking out the World Class Automotive Film & Arts Festival. Its going to be a blast, brought to you by the folks at World Class Motoring. This is a three-day film, arts, and literary festival, taking place August 15-17, 2013 in downtown Monterey, California. Base camp is the decidedly vintage, deco, and beautifully restored Golden State Theater in Monterey, just around the corner from Portola Plaza. There will be some great film screenings, lots of books, art, sculpture, and photography for sale, plus some talks and panel discussions of interest to a wide variety of vintage car and motorsport, and history enthusiasts. Plenty of food, drink, and talk on hand too.